China Analytic & Laboratory Equipment Expo and Conference (China lab) is successfully opened in Guangzhou Poly World Trade Centern 26th, Feb. This exhibition will last 3 days. China Lab is mainly around Laboratory research and application. By display different laboratory consumables, Machine and Reagent to show China's development direction in Laboratory field. Yancheng Huida Glass Instruments Co.,Ltd, as one of the biggest glass manufacturer in China. We have our own furnance with 6 tons output, as well as many lamp-brown production line, which enable us can produce different glasswares. We have cooperation with many well-konwn companies in the world. 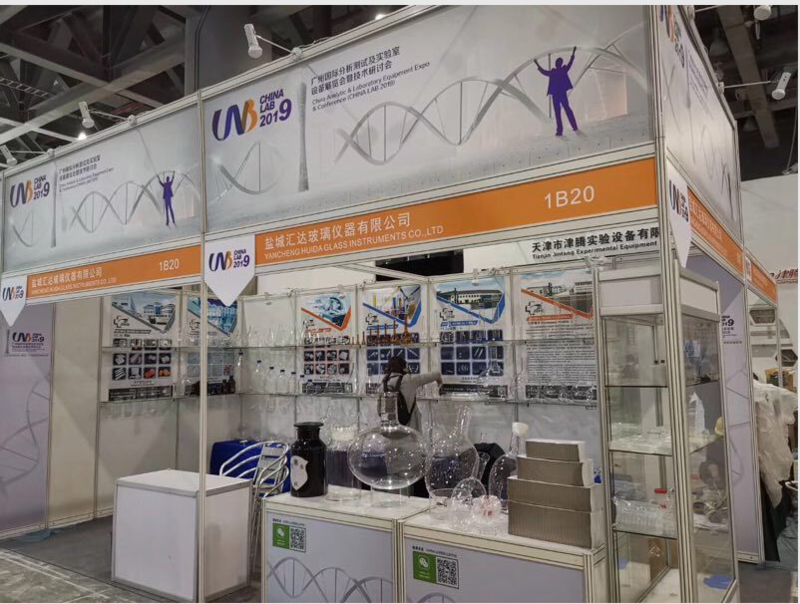 Our booth No in China Lab is 1B20, We have bring almost all kinds of glasswares which is used in Laboratory.